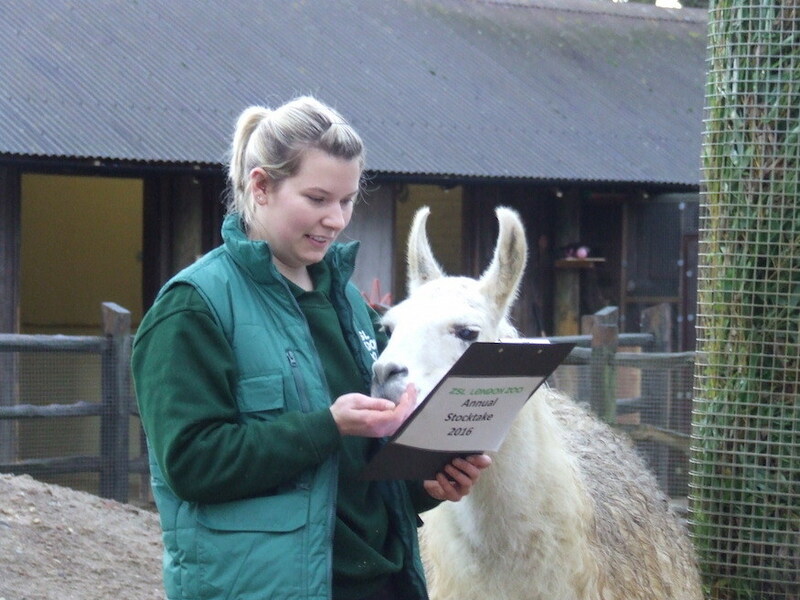 A llama checks it's been included on the keeper's list. 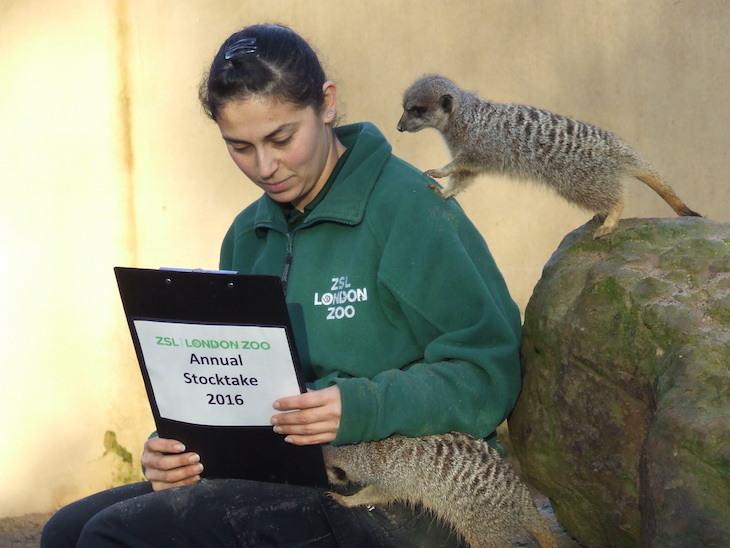 It's that time of year again — keepers at London Zoo are busy counting the animals in their care for the annual animal count. 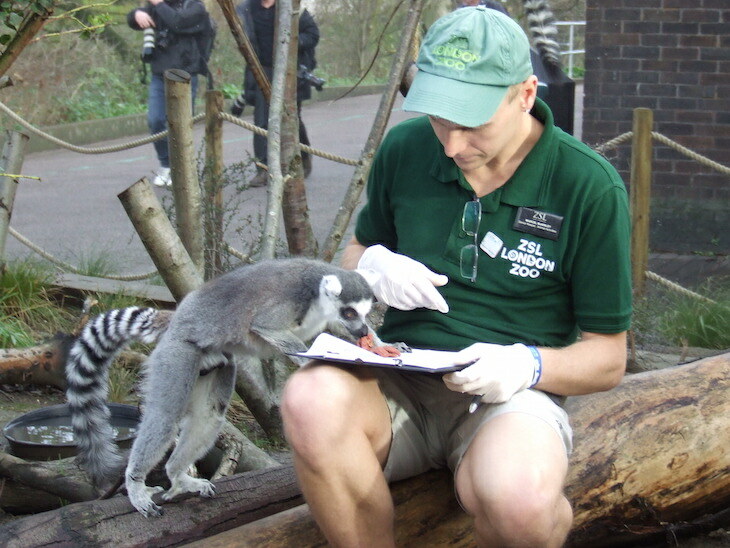 Rather than just being a way to keep the staff busy in the quiet first few days of the year, the animal count is part of the requirements for the zoo's license. The information is shared with zoos around the world via the International Species Information System, where it’s used to manage the worldwide breeding programmes for endangered animals. If you're thinking it seems like less than a year since this last happened, you're probably remembering the animal weigh-in, which takes place each summer with animals being weighed and measured. 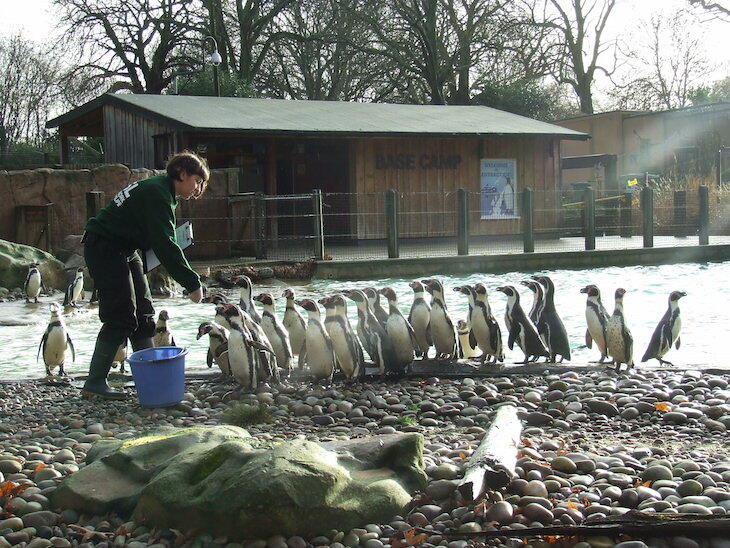 Some of the zoo's 75 humboldt penguins line up alongside their pool to be counted. The meerkats make sure they're not forgotten. 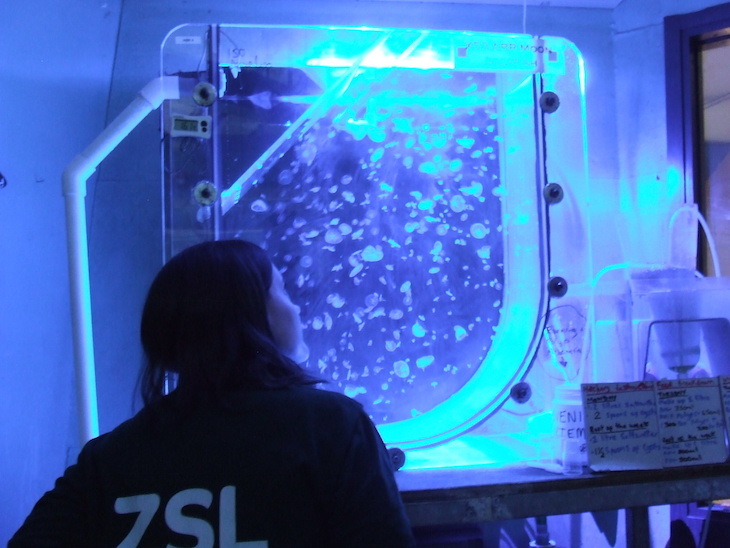 A keeper inspects baby jellyfish, born at the Zoo last year (and not yet on show to the public). ...but their keeper had to step in and help. 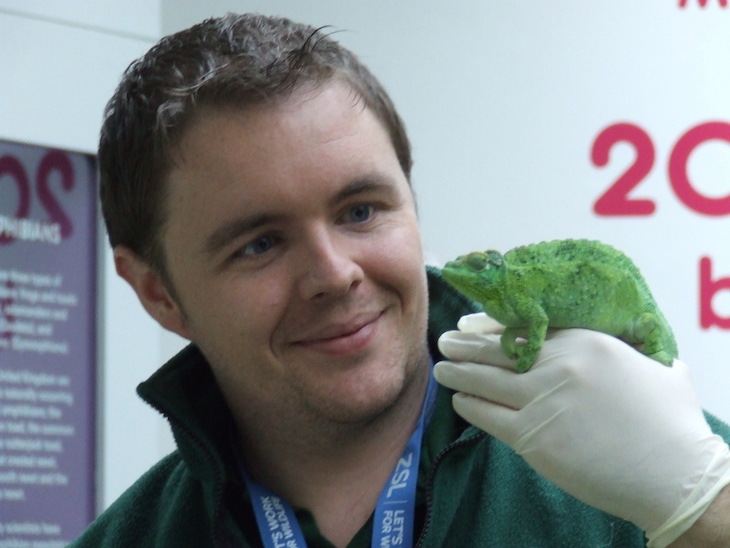 A keeper inspects a chameleon in the reptile house. 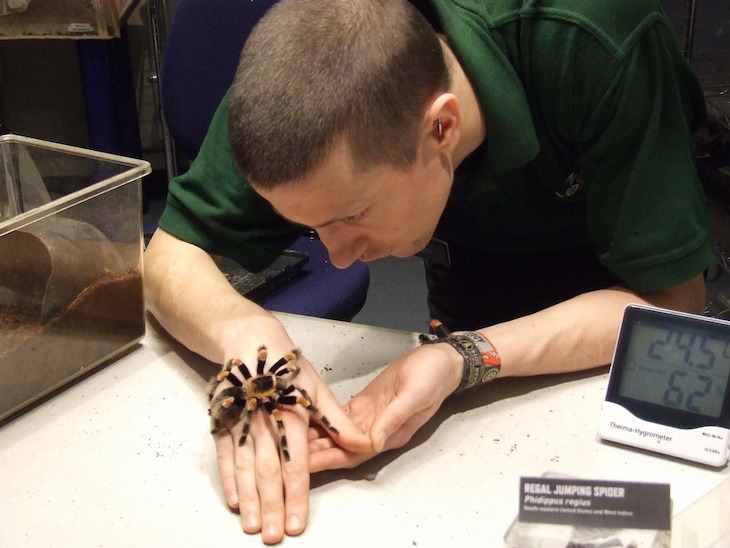 One keeper gets up close to a red-kneed spider (also known as a tarantula). They are only slightly venomous to humans. 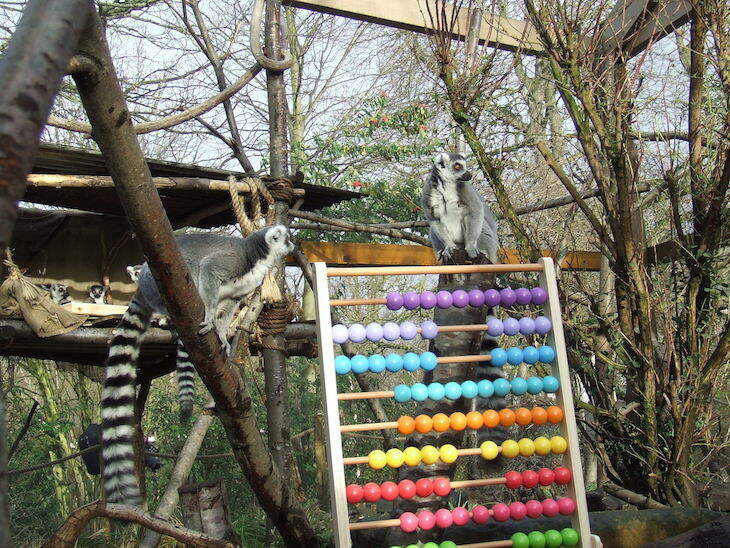 Quiz: So You Think You Know... London Zoo? How Do You Weigh 17,000 Animals?